This is the first day of 2016. Time files! In celebration of the New Year’s Day, I will be giving away this TWSBI Eco. Read to the end for more details on how to win this fountain pen. This giveaway is open to all local and international readers. The hype over the TWSBi Eco is great when it was launched. It was touted as the rival for the Lamy Safari. As one of the more affordable piston filler fountain pen around, it just might give the Lamy Safari a run for its money. It retails for USD$28 or SGD$38. At that price, I can only think of the Noodler’s Nib Creaper retailing at USD$16.10, Noodler’s Konrad retailing at USD$20 and Noodler’s Ahab retailing at USD$23 to be cheaper piston fillers. The TWSBI Eco comes in a small plastic box similar to the TWSBI Classic’s packaging. 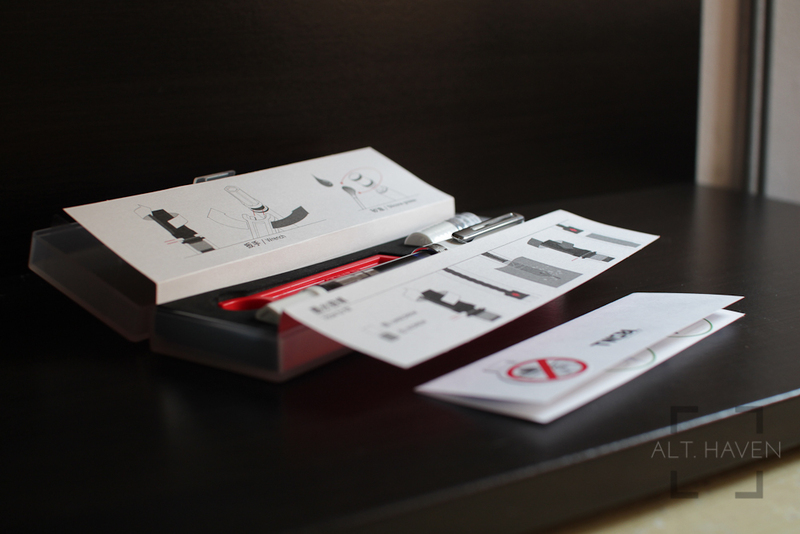 It opens easily to reveal the pen, a red plastic wrench, a bottle of silicone grease as well as instructions on how to service your pen. The packaging is simple and highly reusable once the foam inserts are removed. I have always enjoyed the simple design of TWSBI’s packaging. They are neither ostentatious nor are they just a waste of resources. They are usually rather compact considering they hold a wrench and a bottle of silicone grease. Top marks for the packaging as usual for TWSBI. The TWSBI Eco is a large pen. It is slightly wider but almost as long as the TWSBI Diamond 580. The barrel doesn’t have the facetted design of its elder sibling. This can be a plus or minus point depending on how you feel about the facetted barrel. I personally found the smooth barrel to be a little boring and plain. The silver clip is tight against the cap. It should be enough to secure the pen onto a notebook or pen loop. However, it would probably take a bit of work to get it to fit over a jeans pocket. My white TWSBI Eco has a large white opaque plastic hexagonal cap. It has also a similar white hexagonal tip at the end of the barrel. The pen body is accented with a silver clip and centre band. 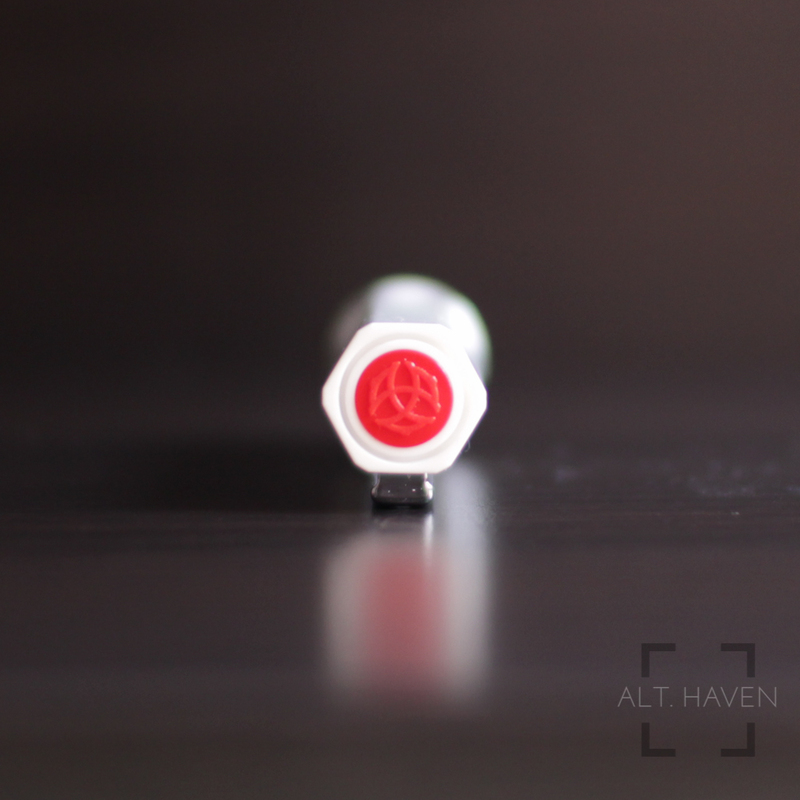 The red TWSBI logo is inset into the finial of the cap. The cap twists open smoothly in 1.25 revolutions of the cap. It also posts securely over the end of the barrel with the help of a rubber ring. The rubber ring sits between the clear plastic body and the white hexagonal end of the pen. This is something new to TWSBI pens. My TWSBI Diamond 580 and TWSBI Mini never had that rubber ring. The cap pushes to post with a tactile feeling, it isn’t quite as tactile as a click but it is something more substantial than simply pushing it to post. The main complain many had about TWSBI fountain pens are the broken section or nib collar. The nib collar being the black plastic the nib and feed are housed in. Personally I have had 3 nib collars broken on me. All of them were replaced promptly at no cost by TWSBI. The significant difference between the older plastic pens and the Eco is the section and the barrel is now one solid piece of plastic. The stress of having the nib unit screw and unscrew from the barrel is now replaced with the inability to quickly and easily interchange between nib units. This might result in a stronger and a less likely to break fountain pen but it remains to be seen how true that will be. That aside, the grip section is smooth to the touch though it isn’t slippery even during long writing sessions. The tip of the grip section flares out slightly to create 3 protrusions. The protrusions are not particularly sharp but it may bother some if you hold the pen very close to the nib. The purpose of these protrusions are to stop your fingers sliding off the grip section. The piston mechanism works smoothly out of the box. Pistons tend to lose their smooth operation over time. TWSBI has kindly provided silicone grease and a red plastic wrench, allowing the user to service the TWSBI Eco themselves. I’ve dissembled my other TWSBI pens plenty of times. It has always been a straight forward operation. Check out SBRE Brown’s video if you need more help. I have opted for a medium nib for this pen since I am giving it away. The nib is super smooth but not to the point where you would lose control of the pen. I am a little hesitant to give away such a great writing nib. The stainless steel nib has a single slit, a circular breather hole and identical scrollwork just like the nibs on other TWSBI pens. The nib of the TWSBI Eco can be interchanged with the TWSBI Mini’s. However you have to remove the Mini’s nib from the nib housing. As of now, TWSBI are not selling the TWSBI Eco’s nibs by themselves. You could buy the TWSBI Mini’s nibs instead. If you want to know what parts are swappable from which model, check out this highly informative Goulet Pens’ page. 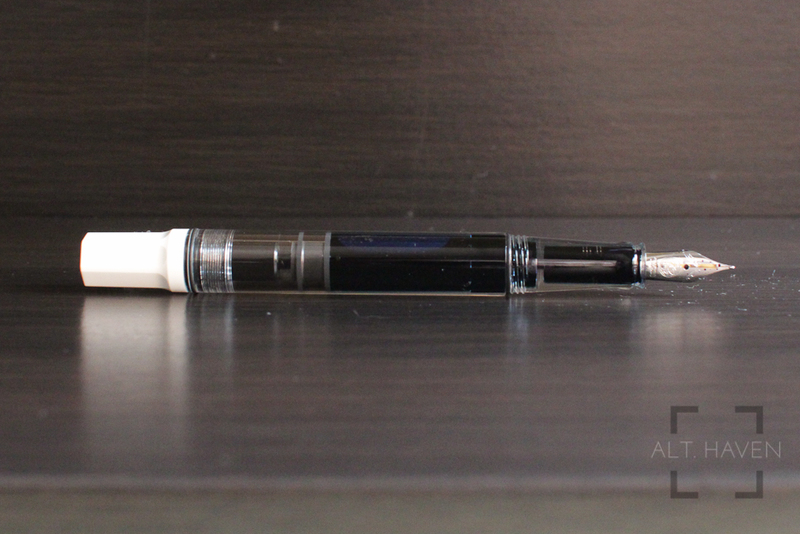 The TWSBI Eco, Eco short for Economical, is a value for money piston filler fountain pen. If you are looking to dip your toes into the world of piston filling fountain pens, the TWSBI Eco is a great place to start. I wouldn’t recommend the TWSBI Eco to be a starter fountain pen. It might be a little overwhelming for a beginner to learn how to service a piston filler if they came from the world of disposable ballpoint pens. I am giving away this white TWSBI Eco fountain pen. This is open to all local and international readers. All you have to do is to tell me a joke in the comments below. The giveaway ends 7th January 2016 midnight. The winner will be announced on 8th January 2016, he or she will have 1 week to contact me to claim their prize! I will be sending the pen out using regular mail at my own expense if you want registered shipping you will have to top up at your expense.